Opening a fresh chapter in SAARC cooperation setting aside prejudices can bring in a wave of prosperity in the region, taking the Asian Century to the next level. Prime Minister Narendra Modi deserves all the praise for inviting heads of governments/head of states of all the seven countries that form part of SAARC (Afghanistan, Bangladesh, Bhutan, Maldives, Nepal, Pakistan and Sri Lanka) in addition to India, for installation of his new government on May 26. Additionally, the Prime Minister of Mauritius too was invited though Mauritius is not part of SAARC. This splendid initiative by Modi provided an informal platform for all the heads of SAARC to interact on the sidelines of the oath-taking ceremony by the new government, especially since the progress of SAARC has been somewhat stymied under the shadow of fluctuating Indo-Pak relations. Narendra Modi is opening a new chapter in India’s history; bringing India out of the decade old time wrap of plunging economy, stagnation in security (food, health, personal), defence preparedness, employment, energy and environment, besides giving a fillip to foreign policy and international relations. Ushering in a sense of nationalism casting aside caste, creed and divisive politics remains a priority for him, no easy task with the region afflicted with politics of all hues. If some Tamil groups protested against the invite to the Sri Lankan President, the same Tamil groups had termed the Indian Peace Keeping Force fighting the LTTE on request of Sri Lanka as traitors. 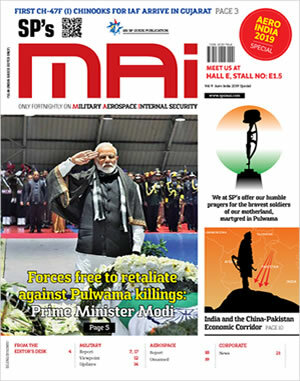 If the main political party of the past Indian Government is protesting against the invitation to the Pakistani Prime Minister, the erstwhile government’s policy itself was being termed as geopolitical prostrating. But as far as SAARC is concerned, particularly Indo-Pak relations, if Narendra Modi is taking out India from its time wrap, so needs to be done by Nawaz Sharif if the region is to prosper. The stranglehold of the military-ISI over Pakistan is well known, together with their links with terror outfits. The latest example has been the persecution of Geo TV for having exposed the Inter-Services Intelligence (ISI)-Taliban links including killings of two of its journalists. The military sure has an important role in Pakistan’s internal dynamics but while giving it due importance, it will somehow have to be convinced that its power is better utilised in curbing terror, not spawning it and that in doing so the military can still remain in prominence that she seeks. Curbing terror and kick-starting trade and industrial cooperation would greatly benefit both countries, as well as the region. In fact, establishment of the South-South Corridor (Eurasia-CAR-Afghanistan-Pakistan-India-South Asia-SE Asia) together with the TAPI and IPI pipelines can bring unimaginable prosperity and gains to the region. Accepting the invitation was a great reciprocal gesture by Nawaz Sharif. It would be equally good for the Pakistani military-ISI to desist firing along the line of control (LoC), terrorist actions, cross-border raids, etc, as has been the experience particularly during visits by Pakistani hierarchy to India. With the eyeball-to-eyeball deployment along the LoC, the Pakistani Army is very much in position to prevent such incidents. Unfortunately, even as Pakistan Prime Minister Nawaz Sharif was being feted and applauded at the Rashtrapati Bhavan forecourt during the swearing-in ceremony of Narendra Modi as Prime Minister, Pakistan Rangers twice violated ceasefire on May 26, firing several sniper shots at Indian posts, with the second violation at around 6.15 p.m. just when the oath-taking ceremony was on in New Delhi. Of course Afghan President Hamid Karzai has confirmed that it was the LeT that attacked the Indian mission in Herat. Lashkar-e-Toiba (LeT) is well known as the covert arm of ISI and one wonders if Nawaz Sharif was aware of this fact before he flew to India. Nevertheless, J&K is a vexed issue that cannot be resolved in quick time and by force. It is time to keep it aside and get on with economic cooperation to uplift the masses, keeping in mind the question Modi raised during an interview, that ‘can you talk when bombs are exploding close by?’ This was also conveyed by Modi to Nawaz Sharif quite frankly during their 50-minute meeting on May 27. Hamid Karzai also attended the ceremonies. India and Afghanistan have a historic and deep relationship and the strategic partnership has also been reviewing threats to the region post the withdrawal of US-NATO troops from Afghanistan. The fact that terror flowing out from Pakistan threatens the region particularly India, Afghanistan and to some extent even China is no secret. Stability as well as reconciliation and reconstruction of Afghanistan are vital issues that require continued regional and international efforts and sincerity. Afghanistan needs to be assisted economically to become self-sufficient, which is possible with its enormous unexplored natural resources albeit this is only possible if peace prevails. Logically, if Pakistan is actually unable to control the radical factories, especially ones in difficult areas running in autonomous mode, she needs to look for ways in the manner Boko Haram is being tackled by the international community. India-Bangladesh relations are close especially under the Sheikh Hasina Government. Bangladesh does have large population and illegal immigration, unresolved border demarcation and water sharing are issues that need to be tackled. Sheikh Hasina was visiting Japan on May 26 but she was represented by Shirin S. Chudhury, Speaker of Bangladesh Parliament, and dialogue between the two countries is sure to be speeded up. In fact, complete border demarcation and comprehensive water sharing agreement should have been completed years back. Bangladesh is seriously battling radicalisation and terror. Major anti-India terrorist camps run during the previous regime have been shut down though minority persecution and terrorist atrocities against them by radicals persist. Illegal immigration is a grave issue though the previous Indian Government remained intransigent because of creating vote bank politicking. By May 2012, India reportedly already had some 40 lakh Rohangiyas as illegal immigrants from Myanmar and Bangladesh spread in various states including in Jammu region of J&K. Prior to liberation of Bangladesh, Sheikh Mujibur Rehman had written in his book on East Pakistan thus, “Because Eastern Pakistan must have sufficient land for expansion, Eastern Pakistan must include Assam to be financially and economically strong”. But this does not have to be taken literally. Take a modern city like Tokyo that houses 9.58 per cent of entire population of Japan where Japan has little natural resources, 70 per cent being under forest (which they don’t cut) and small amount of arable land. Yet industrialisation has made Japan an economic giant. Similarly, Seoul houses one-fifth of the population of Republic of Korea which again has limited natural resources, small arable land and cold climate that restricts farming. Both India and Bangladesh have abundant natural resources and economic-industrial cooperation can lift both economies and help management of social change. Bhutan and Nepal are both India’s Himalayan neighbours and being landlocked need special attention and cooperation from SAARC members. Prime Minister Tshering Tobgay of Bhutan and Prime Minister Sushil Koirala both attended the swearing-in ceremonies. Bhutan has had a remarkable transition to democracy initiated and executed by the King himself, the term Gross National Happiness (GNH) having been coined by the monarchy to define an indicator and concept that measures quality of life or social progress in more holistic and psychological terms than only the economic indicator GDP. Nepal has had to contend with a long Maoist insurgency that has thankfully subdued the militant content. Populace of Bhutan and Nepal belong to traditional ancient civilisations. Both countries have abundant hydro power that can contribute to a SAARC grid and excellent tourism potential that can facilitate people to people contacts. President Mahinda Rajapaksa of Sri Lanka too attended. India-Sri Lanka relations are ancient and historic albeit the issue of devolution of power to the Tamils in Sri Lanka, who have close relations to Southern India, is yet to be adequately resolved despite many intricacies. Indo-Sri Lanka relations are becoming important also because of the growing power rivalry in the Indo-Pacific region. Economic relations between both countries are strong and there is tremendous scope to expand them further. Similarly, India-Maldives relations and India-Mauritius have been historic. President Abdula Yameen of Maldives and Prime Minister Navinchandra Ramgoolam of Mauritius both attended the swearing-in. Maldives and Mauritius are tourist paradises. Both are strategically important by virtue of their location in the India Ocean region, including proximity to India, Sri Lanka and Pakistan. Both countries need the cooperation of SAARC countries, also to ensure they do not get subjected to terrorism. What SAARC needs to seriously debate upon is how global powerbrokers have destroyed country after country, ravaging their land, population and resources for their own individual interests, using terrorism, proxy forces, conventional and even chemical and biological forces without compunction, extracting financial gains in the aftermath as well through sale of arms and reconstruction projects. Opening a fresh chapter in SAARC cooperation setting aside prejudices can bring in a wave of prosperity in the region, taking the Asian Century to the next level.